The EMC Corp. logo on a building near their headquarters in Hopkinton, Massachusetts. EMC Corp. of Hopkinton was dealt a setback in its years-long legal war against rival data storage company Pure Storage Inc. of Mountain View, Calif.
On Thursday, a federal court in Delaware threw out a March 2016 verdict holding that Pure Storage must pay $14 million for violating an EMC software patent. In its ruling, the court said the jury should have considered whether an earlier patent issued to a different company featured the same technology as the EMC patent. If so, EMC’s patent could be found invalid and the company’s case would collapse. Now EMC faces the prospect of years of additional litigation. The court ruled the case must be retried and the jury asked to consider the earlier patent. No date has been set for the new trial. Pure Storage specializes in heavy-duty storage gear based entirely on flash memory chips, as opposed to the mechanical hard drives that have traditionally formed the backbone of EMC’s products. EMC also offers a variety of flash-based products, but Pure Storage chief executive Scott Dietzen has said that his company’s all-flash architecture will eventually make it the dominant company in big storage. The tension between EMC and Pure Storage boiled over in 2013, when 44 EMC employees joined Pure Storage despite having signed noncompete agreements. 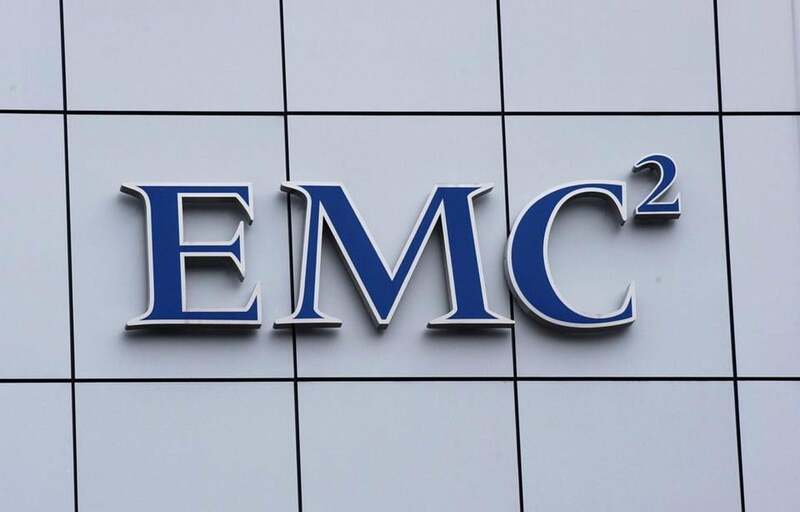 EMC sued the workers, claiming they illegally provided sensitive information to its rivals. The case was one of several that highlighted the use of noncompete agreements within the technology community to compel employee loyalty and protect a company’s trade secrets. Those agreements have divided the technology industry in Massachusetts, with larger more established companies favoring them as a way to protect their intellectual property, while entrepreneurs and venture capitalists say they stifle innovation by preventing tech workers from jumping to a startup. Earlier this summer, Massachusetts lawmakers were unable to reach a compromise on a law that would limit their use. Noncompetes are banned in California, and many in the technology industry argue that the lack of such agreements has encouraged the rapid growth and diversification of California’s tech sector. EMC is on the verge of completing its $67 billion merger with Texas-based computer firm Dell Inc. After the deal is finalized on Sept. 7, the merged company will be called Dell Technologies.